With a foot planted in two states, Ty Flores is ready for his return to action. Flores (2-1) will face Aaron Highfill in the co-main event of Friday's SFC: 290 at the River City Casino. Flores – a Jefferson County-area native who currently resides and trains in Florida – went the entire 2016 calendar with nary a fight. Flores, 23, currently works in the world of finance wrestled and played soccer at Fox High School and back then would have never have dreamed about stepping into a cage. He took his first MMA fight in January 2013, compiled a 9-1 amateur record, threw in a couple of kickboxing bouts, and went pro in May 2015. He spent the bulk of his ammy run at welterweight before bumping up to 185. Flores' opponent on Friday just made the switch from welterweight to middleweight this year. Highfill won his middleweight debut in April with a first-round submission of Dewayne Diggs. Friday will make for the third fight this year for the Illinois resident. “I asked Aaron Highfill, 'How busy do you want to be?' 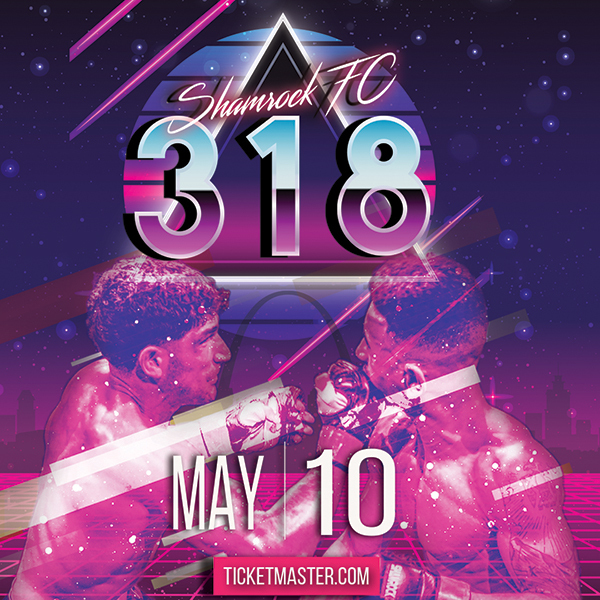 and he said, 'As busy as you can make me,'” Shamrock FC president Jesse Finney said. Flores, who is 6-foot-3 and walks around at over 215-pounds, will have a distinct size advantage on fight night. Highfill is known for his solid boxing and punching power but the question still remains is will that translate 15-pounds heavier. Look for Flores to more active these coming months and a possible return to Missouri in December. “I'll never close the door completely on St. Louis,” he said. Zac Bucia recently snagged the SFC welterweight by putting on a borderline clinic against Bobby Voelker. Adam Meredith fought Bucia last December and in that go-around took Bucia's back early in the first round. Meredith would get careless and Bucia capitalized, reversing the advantage and finishing the fight via TKO with 23 seconds left in the first and setting up his fight with Voelker. Some more obvious than others but lessons were learned that night for Meredith- the 2015 Regional Pro of the Year - and his team at St. Charles MMA. Meredith (5-2) is back in the main event facing Chel-Erwin Davis. Davis, who ended up in Jefferson City from New York, finished Adam Cella in 2015 by TKO and then Kevin Engel by rear naked choke in 2016, both on Bellator undercards. Davis has been in Jefferson City for three years and divides his training between Howard ATA and the Smith Pitt. A layoff from competition has helped Davis in the past. On the surface, the fight boils down to whether Davis, who got into the sport via kickboxing, going 10-0 and winning titles in New York, can contain the ground game and poise of Meredith, who has three of his wins come from a variety of submissions. 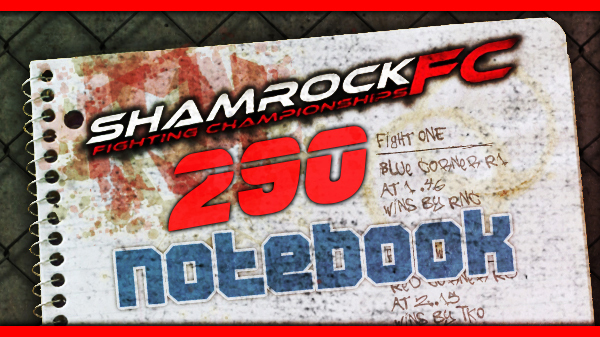 Look for tonight's weigh-ins, which will stream live on the Shamrock FC Facebook page, to have a little more razzmatazz. Finney said that promotion is upping the ante on not only the presentation of it but also giveaways for fans in attendance. Weigh-ins will be held at 6 pm at the River City Casino. UFC Hall of Famer and Hillsboro native Matt Hughes will be having a meet and greet of sorts prior to SFC 290. Hughes was a two-time UFC welterweight champion and defended the belt a then-record seven times. Hughes was inducted into the UFC Hall of Fame in May 2010. During his career, Hughes was regarded as the top pound-for-pound mixed martial artist in the world and considered by many as one of the greatest welterweight fighters of all time and one of the greatest pound-for-pound fighters in the sport's history. Hughes opened and owned the H.I.T. Squad in Granite City as his own training compound - with barracks and all - where the likes of former UFC welterweight champion Robbie Lawler and many others passed through. If you haven't already, check out our interview with lightweights Rashard Lovelace and Sean Woodson before their main card clash on Friday.